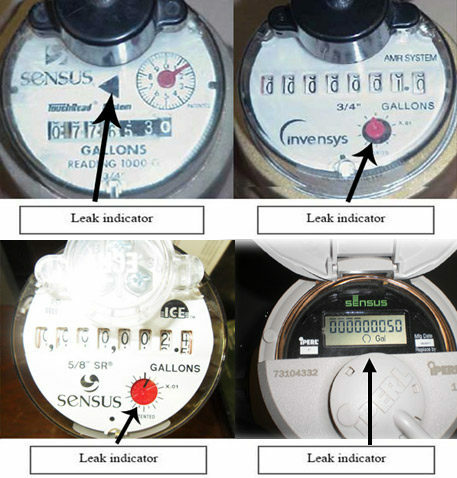 This photo shows a few of the types of water meters that can be found in the TMWA system. The arrows point to the flow indicators on these meters, which can be used to determine if there is a leak. In short, if all water-using valves and appliances are off and the flow indicator is still moving, there may be a leak in the system.